Black cats are statistically among the least likely to be adopted, so we thought we’d give this cute black kitten a boost by featuring her in today’s post. 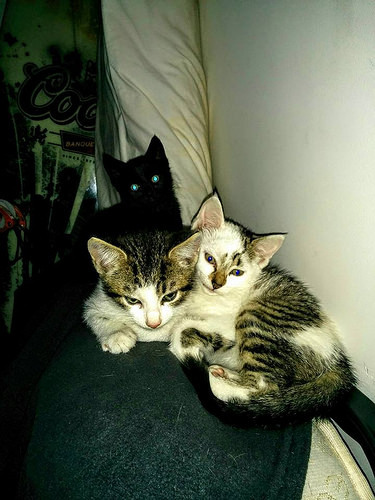 The Coney Island kitten’s two grey and white siblings (seen below) were adopted the other day, leaving her the only one still seeking a forever home. Her mom and dad are black and white, says their human, our friend Diana, who lives in Coney Island. 1 very sweet kitty left. All black fits in the palm of ur hand she will b a small cat. Very loving playful. Eats wet n dry food litter trained except around large plants ha ha. She will crawl into ur hand n cuddle against u to nap if u let her. Contact me if interested really don’t want to take her to a shelter would prefer to adopt her out……. 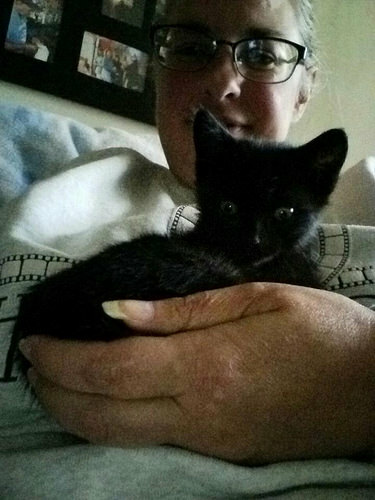 This black kitten’s two siblings were adopted the other day. 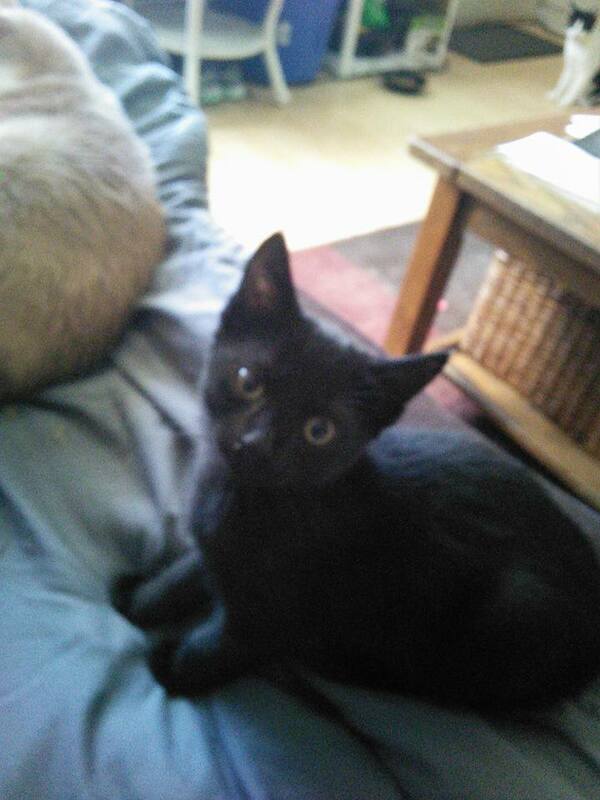 If you would like to adopt the black kitty, please reply via this contact form. Your information will be emailed to ATZ and we will forward it to Diana. That’s too bad. Cats are a good match for poets and writers.